So I have 1 year, 2 months and 27 days until I turn 30 years old. Yes - I know I'm jumping the gun and haven't even had my 29th birthday yet. 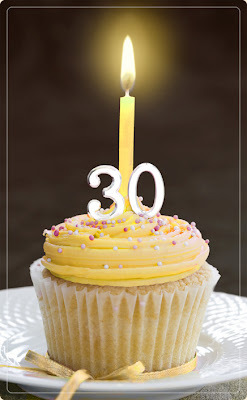 No - I'm not dreading turning "the big 3-0"
What I am wondering is what to do with my "Surviving 20-Something" blog once I'm no longer a 20-something. Do I change the title of this blog to allow for my life adventures as a 30-something woman? Do I start a new blog and just link the last entry of this blog to the new one?